SKU: N/A. 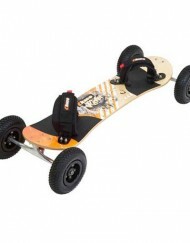 Category: Mountain Boards. 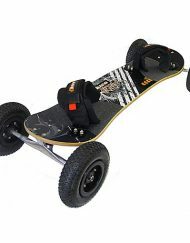 Tags: all terrain boards, atb, mbs, mbs mountainboards, Mountain Boards. From the Manufacturer: The Core 90 is a superb board for land kiteboarding and freestyle mountainboarding. 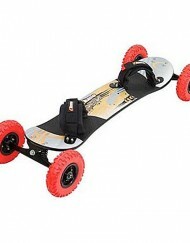 It combines a short deck together with lightweight All Terrain Skate (ATS) trucks, Twistar hubs, F2 bindings, and now T3 tires to create a very light and nimble board with unmatched lateral traction. 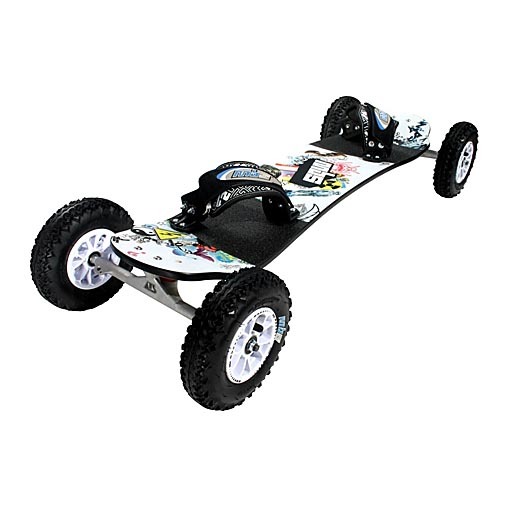 Although we’ve designed it specifically with kiters in mind, young mountainboard rippers who find the bigger boards too heavy will love the Core 90 and enjoy knowing they can upgrade to higher-end MBS components as they continue to push the limits of their riding. Customising your deck is part of the fun of boarding: adding random stickers and making it truly your own. Well, the new Cores have already been part sticker-bombed! Each deck features over 50 all original ‘stickers’ in crazy combinations and it’s up to you to add to the chaos. There’s even some vintage MBS stickers in there too!